Would you like to learn to golf in a low-pressure environment and on an actual golf course, not just on the driving range and practice green? Introducing the Short Course at Echo Ridge Golf Course! A golf course can be an intimidating and frustrating place for a beginner. When a person learns to ski, they start on a 'bunny hill' where they gain skill and confidence. In golf there is no 'bunny hill'. Instead a beginner steps up to the first tee and tries to hit the ball while being watched by 1) groups of other golfers ready to play behind you, 2) golf course staff concerned about pace of play and 3) your own playing partners who want you to enjoy golf as much as they obviously do. For most new golfers the holes on a golf course are too long. Beginners are not able to hit the ball far enough to effectively manage the course. The Short Course is Echo Ridge’s answer to the 'bunny hill' and a way for beginners and experienced golfers to enjoy the game together. Our Short Course positions the teeing areas further down the existing fairways which allows the player to reach the green in the same number of strokes as would an experienced golfer using the regular tees. The design of the Short Course is based upon how far a beginner golfer hits their driver. The program uses two sets of tees enabling the player to choose the course best suited to them. The layouts are not simply shortened, but rather scaled to the beginner’s ability levels. Each layout offers two Par 3's, five Par 4’s and two Par 5’s. The layouts also offer diversity between holes requiring a variety of shot types and club selections. 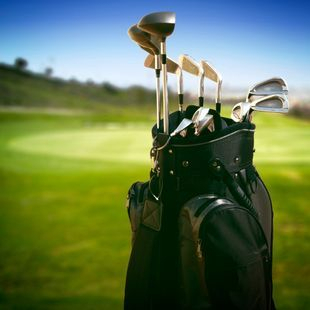 Many experienced golfers (forgetting that they too were once novices) feel that the place to learn the game is on the driving range and practice green. Both are good places to start to learn the basics, but on-course experience is essential to learning the game and enjoying the sport. All abilities can play together. For example, in a foursome, one could play from the regulation white tees, one from the regulation red tees, and two from the yellow tees, or any other combination. Less intimidating. Instead of having to tee off in front of a crowd, beginners could advance to their chosen tee and tee off in relative privacy. Pace of play. As the beginners will be taking far less strokes to reach the green, the required time to play will be relatively equal to the experienced players. The ability to learn the game in a more relaxed atmosphere. Fun and a sense of accomplishment!